What’s wrong with ‘switching it up’? Social media IS pivotal for every business today. We’ve been conditioned to think that platforms like Facebook, Instagram, Twitter are essential to escalating brand awareness. So why on Monday April 9, did cosmetics brand LUSH decide to close its UK accounts on social media? Announced ironically through social media on Instagram and Twitter. The decision to leave social media was seen as a suicide move for the brand by many. But why not a brave move? A chance to do something a bit different? 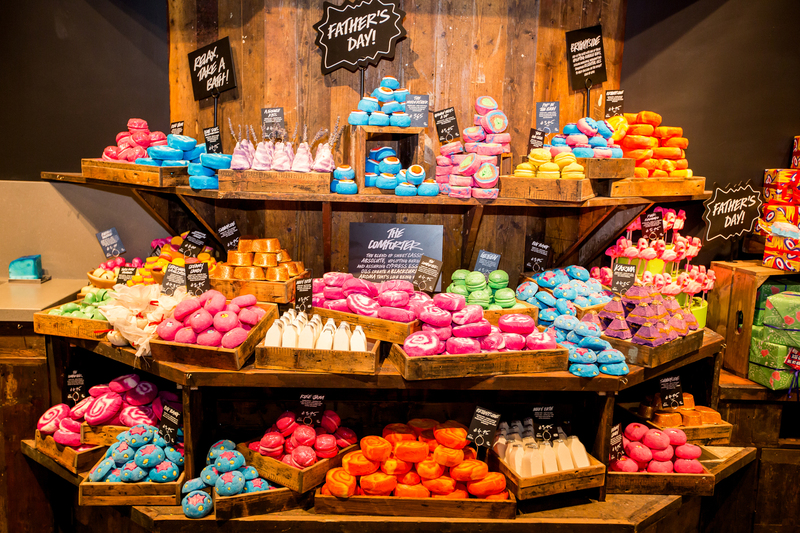 Personally, I think Lush are right to change it up abit, and I think entrepreneurs should focus on a mix of marketing methods and PR platforms to reach their customers and consumers. And lets not get crazy here, Lush aren’t leaving social media altogether; they are “switching it up.” Doing something different doesn’t mean marketeers should now all quit social all together – but instead iterate. It is great to ask the questions – what is or is not working? And for every business that will look different. This is the problem with cookie cutter marketing techniques and tactics, and our sheeple mentality. Social media isn’t just having an Instagram account and social media is “personal, subjective and unique” to quote the Facebook Press room around their algorithms. So no one’s experience of social media is the same. I think Lush speak for many business and business owners wanting to make a change with their social media strategies and the great Facebook Inc monopoly. As they say, they “want social to be more about passion and less about likes” and that they will be continuing to be on social media through the hashtag #LushCommunity – which I personally think is a really exciting move. Community driven content rather than channel driven. To me that doesn’t mean they are leaving they are trying something new. As they tell us in their post; “This isn’t the end. It’s just the start of something new.” And I look forward to seeing what they do next especially as I am currently writing Social Media For A New Age; the next iteration and exploring predictions and future proofing our social media marketing. The way Lush are playing this is really interesting. Firstly it’s not the whole company, it’s not the American accounts, but just the UK account Instagram going offline. Which is super smart way to test what works and what doesn’t. It also appears to me that by taking their UK customer care team off Instagram and moving them to a place in-house, it could be more manageable and personable -and a place they feel they can have better conversations with their clients (and a place they control). They clearly believe in their brand enough that their customers will go to where they need to. “We believe we can make more noise using all of our voices across the globe because when we do, we drive change, challenge norms and create a cosmetic revolution” . The fact that they are challenging social media norms in the current pay to play landscape in order to focus on community is inspiring and I look forward to seeing their revolution in action! To me, and reading the 1,253 comments currently on Lush’s Instagram post it sounds like their customers and fans agree that “switching up social” is a great idea. Katie Brockhurst dubbed the 'Social Media Angel' has worked in social media for over a decade. She pours her 10 years+ of expertise into the book 'Social Media for a New Age', having had the opportunity to work with people, from Princesses to Pop Stars, who want to use social media to build meaningful platforms to support and showcase their businesses, projects and causes. Over the past 5 years Katie has worked specifically with best selling authors in the growing Mind, Body, Spirit space which has given Katie a unique perspective and direct insight not only into how social media works, but also how it can be used to create and serve your life and business on many different levels, not just financially but energetically and spiritually too. The book Social Media for A New Age is the ideal tool for those experiencing stuckness around social media – both from a personal and business perspective – and for reminding us to follow through on our resolutions – using social media for good, breaking away from the ego of likes, and of course putting our devices down once in a while.